Vegan and vegetarian meal options at an upscale restaurant in Derry. 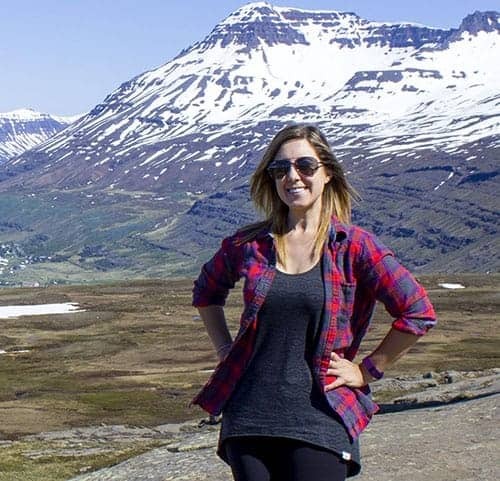 While finding vegan food is becoming less and less of an issue as I travel the world, I must admit that finding a vegan fine dining option can be a challenge. 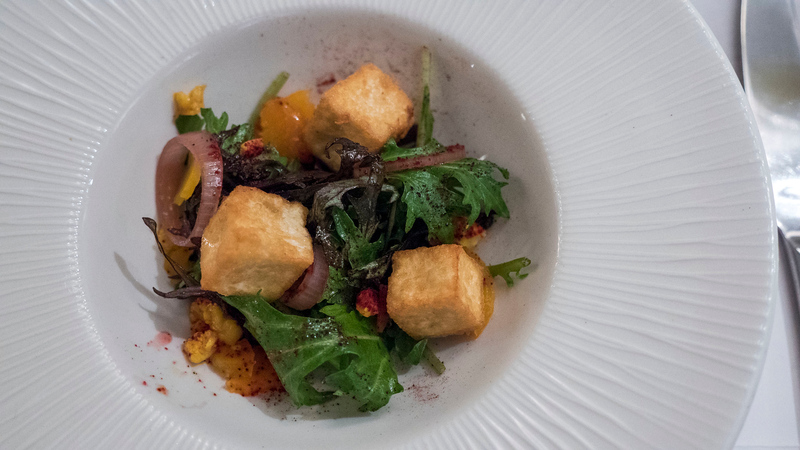 Many upscale dining chefs don’t seem interested in developing vegan or vegetarian meals. What is taught at culinary school is very meat-centric. Meat is the main feature, and everything else is constructed around that piece of protein. From time to time, I do find a chef that’s up to the challenge of creating a delicious vegan dish. If anything, it can be even more of a test to make creative, delicious food purely from plants. 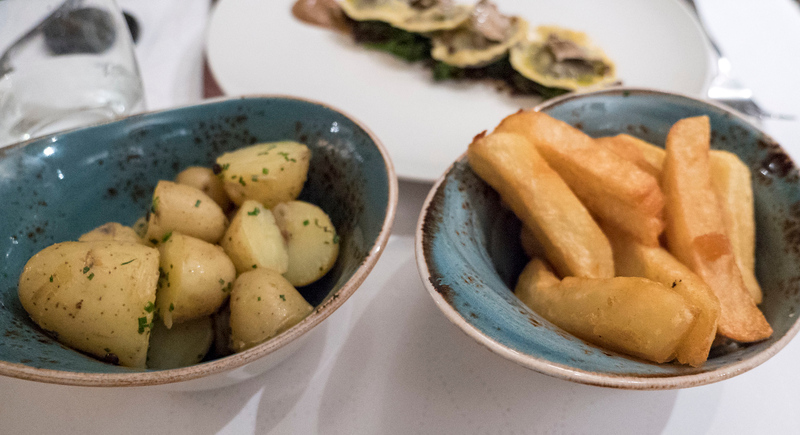 Chef Ian Orr at Browns Restaurant doesn’t shy away from vegetarian meals. He’s prepared an entirely independent vegetarian menu that could easily stand on its own at any fine dining establishment. 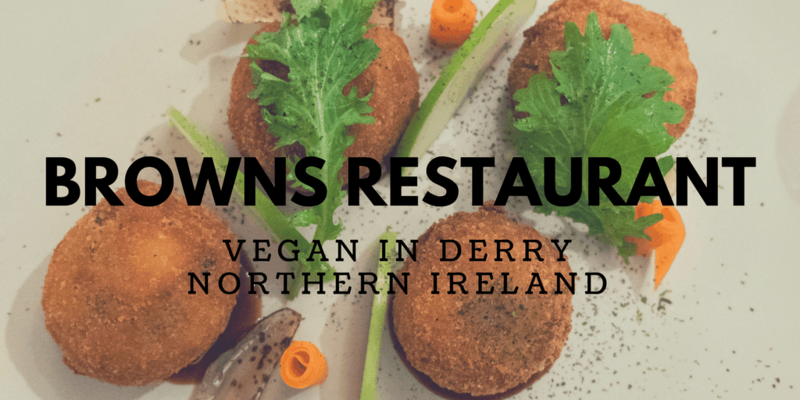 I was wildly impressed with the offerings at Browns Restaurant, and I knew that I had to dine there when traveling to Derry. 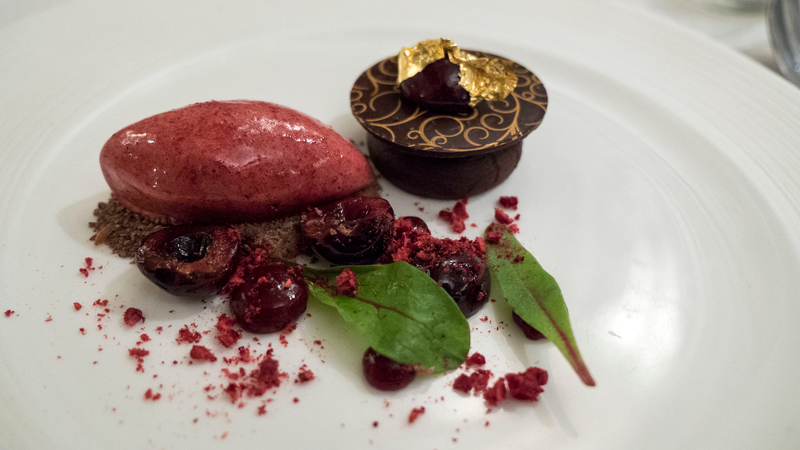 Have you had a vegan or vegetarian fine dining experience? Tell me about it! Ian Orr is the Chef Patron and co-owner of Browns Restaurants and Ardtara Country House Hotel in Northern Ireland. There are three locations of Browns (Bonds Hill, Strand Road, and Letterkenny). He’s one of the most talented chefs in the country. Chef Orr demonstrates his talents through complex and flavourful dishes, combined with thoughtful presentation. His accolades include: Georgina Campbell’s Ireland Chef of the Year 2013, Best Chef of Northern Ireland in Good Food Eating Guide (for the past 7 years), and Bridgestone/Mckenna’s Top 100 Restaurants and Top Ten Chefs to Watch (5 times and running). 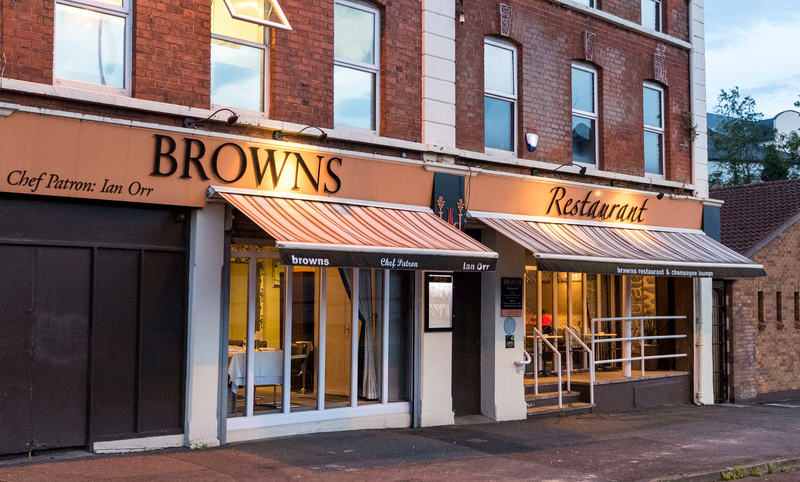 As for Browns, the Bonds Hill location was the Best Restaurant in Northern Ireland in 2013 as declared by the Restaurants Association of Ireland. Browns was the only Northern Irish restaurant invited to be listed in Ireland’s Blue Book in 2015. Good Food Eating Guide has proclaimed that the Browns Restaurant at Bonds Hill is Best Restaurant in County Londonderry every year since 2010. 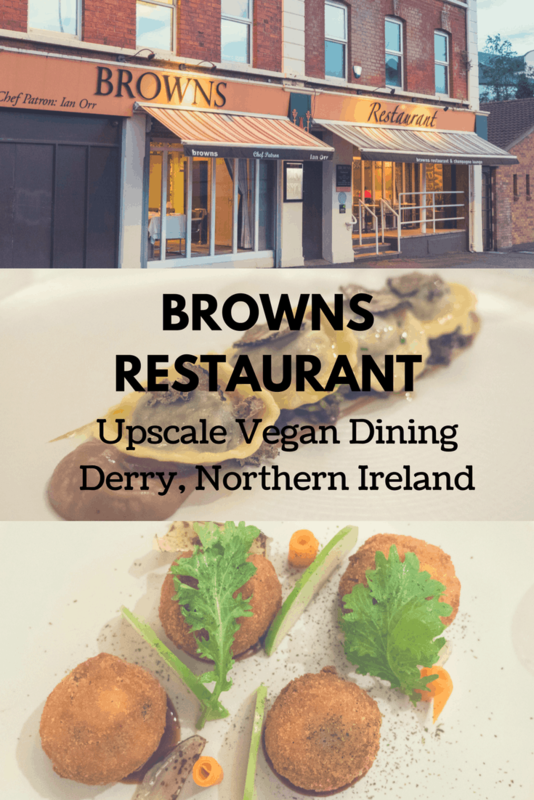 Clearly, if there’s one restaurant you must try when you’re in Derry, its Browns Restaurant. While Browns Restaurant at Bonds Hill is a fine dining establishment, you’ll feel right at home the moment you walk through the door. 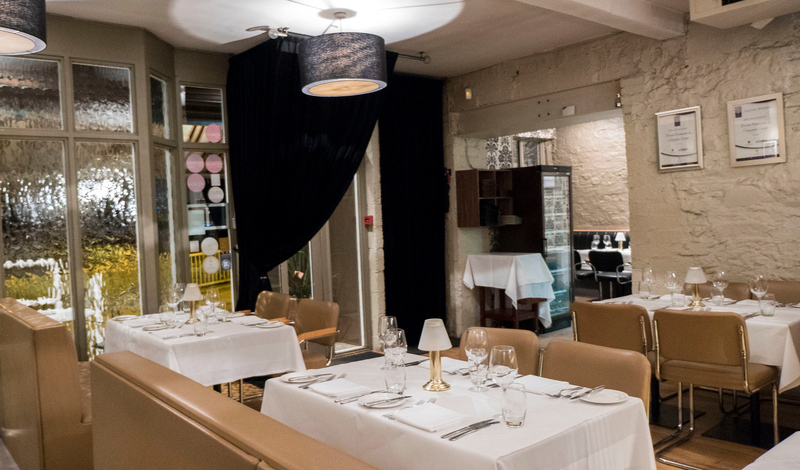 The staff at Browns will welcome you immediately without any pretension or snootiness. Don’t worry about needing to dress up too much. Simply enjoy your delectable meal with your dining companions. As I follow a vegan diet, I ordered everything from the separate vegetarian menu. While I can’t speak for any other menu items, I’m certain that you’ll enjoy anything that you eat here. I savoured a four-course meal at Browns Restaurant. The dedicated vegetarian menu has several vegan items clearly marked. If you have any questions, don’t hesitate to ask your server. He or she will be able to help you or ask the chef for any additional clarifications. 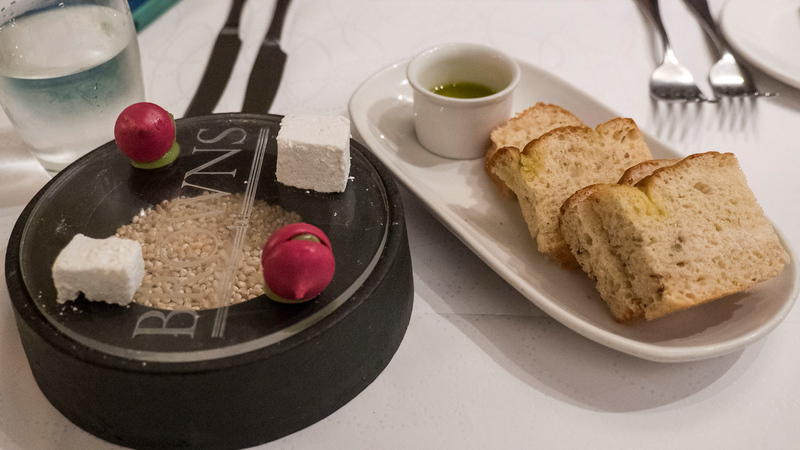 To start, we ate herb bread with oil, as well as an amuse bouche of sweet and savoury treats. The little white cube is a gin and tonic aquafaba marshmallow. Aquafaba is essentially the reserved liquid from a can of chickpeas, whipped up into fluffy desserts like meringues and…marshmallows! Also created from aquafaba, the other offering was a beetroot meringue with broccoli. I have to admire the creativity here as it’s not like anything I’ve encountered at a restaurant. 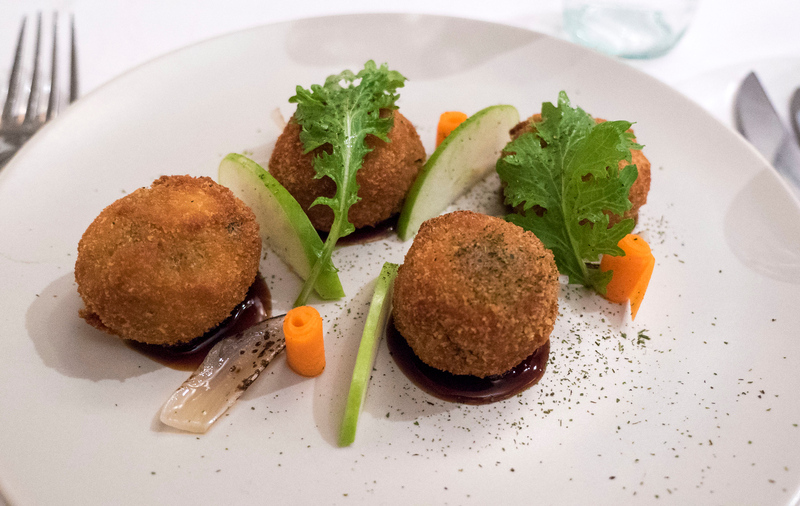 For my starter, I chose the Wild Mushroom Arancini, which were essentially fried risotto balls. Although they’re typically made with eggs and cheese, Browns Restaurant makes them only from plants. Served with garnishes of apples, fennel, and little carrot spirals, this dish was delightful. As a complete surprise, a small salad with crispy tofu arrived to the table. I was more than happy to sample another tasty vegan dish, and it did not disappoint. 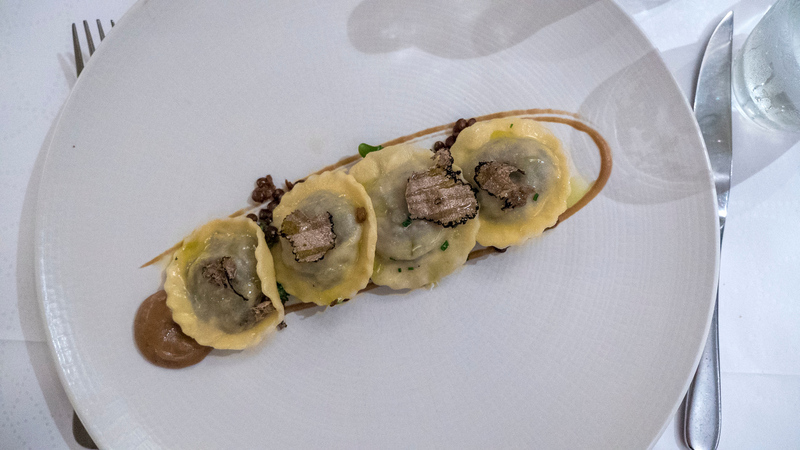 And as for the main course, I continued with the mushroom theme in the form of Wild Mushroom Ravioli. I don’t see vegan ravioli very often on restaurant menus, so I always jump at the chance to order it. 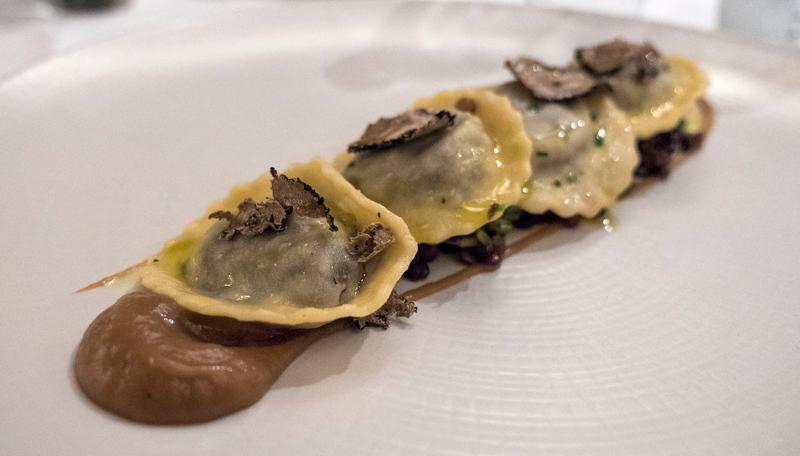 These heavenly morsels sat on top of black lentils and broccoli, and topped with truffles. Every bite burst with flavour. Asked if we wanted either chips or potatoes on the side, Ashley and I ordered one of each. I’ll never turn down the chance to eat potatoes in any form. Save room for dessert! There are a couple of vegan desserts on the menu, although the one I ordered sounded the most sumptuous of all. 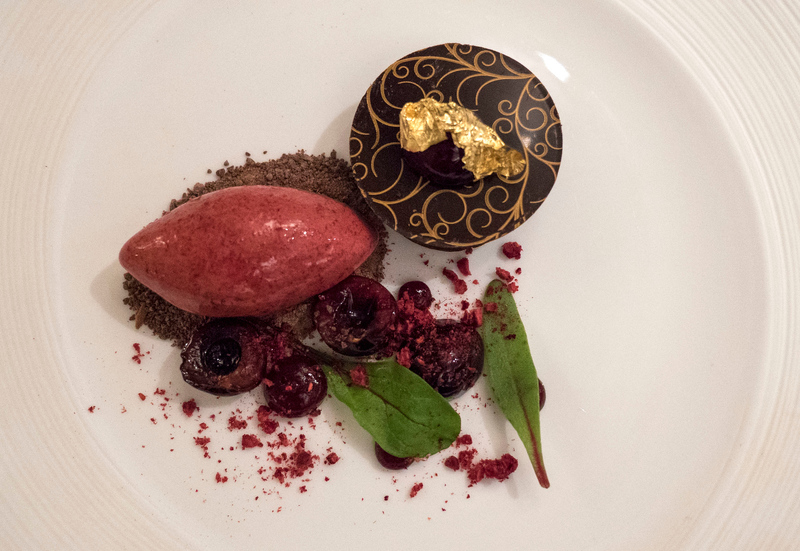 The Black Forest combined dark chocolate ganache, marinated cherries, and a tart sorbet. The chocolate melted in my mouth, and the sweetness of the fruit balanced the richness of the chocolate. It was divine. Plus, nothing screams elegance more than popping a piece of edible gold leaf into your mouth. Needless to say, I was impressed. Not only did I leave feeling completely full, but it’s a meal I’ll remember for a long time. From the exquisite mushroom ravioli to the mouthwatering dessert, I’d jump at the chance to dine here again. 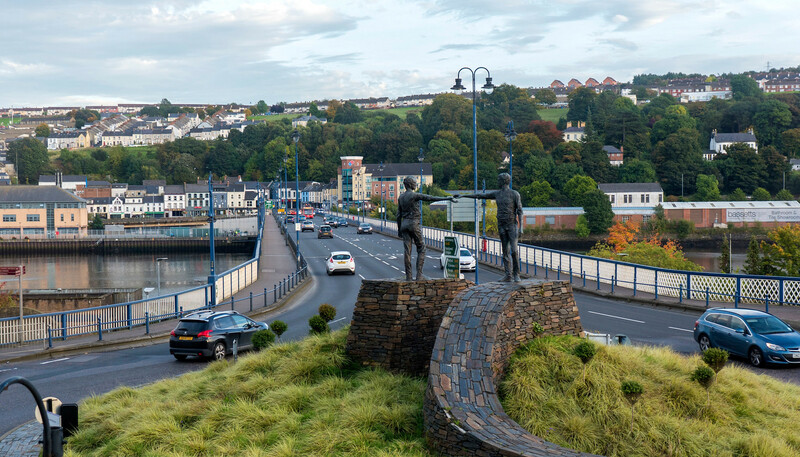 Next time I’m in Derry, you can bet that I’ll be returning to relive my experiences. Browns Restaurant is a short walk from the main downtown of Derry, just across the bridge. It was only a short walk back to our accommodation, Bridge Bed & Breakfast (read more reviews here). Thank you so much to Browns Restaurant for hosting my visit. My opinions, as always, are entirely my own. Sounds like a wonderful restaurant! I am vegetarian and always looking for great places to eat that don’t relegate vegetarian food to an afterthought. 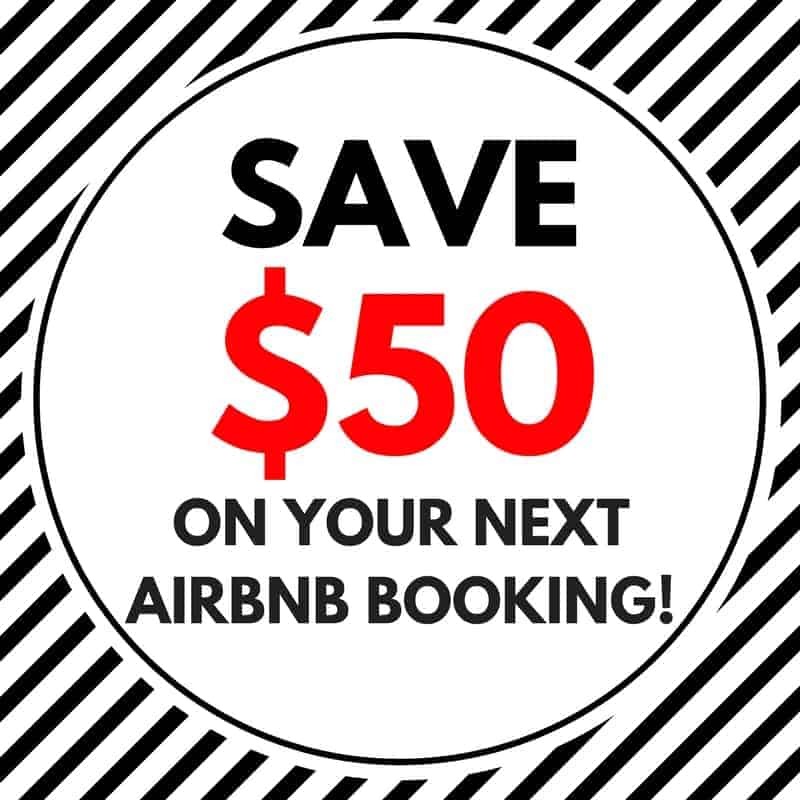 Will keep this in mind for when we visit!! !